Did you know that RCMP have received 349 reports of stolen bicycles since January 1st 2015 and that there was a 68 % increase in bike thefts from 2014 to 2015. Many of those bikes were valued at more than $1,000, a “significant financial loss” to their owners. Although 228 bikes were recovered in 2015, many of them could not be returned to their owners, either because the thefts weren’t reported, or the owners didn’t have the bikes’ serial number to include in their reports. Police recently launched a “Get Your Bike Back” campaign in North Van. Police are asking bike owners to register their bikes ahead of time, to help ensure that they get their bike back should a theft occur. 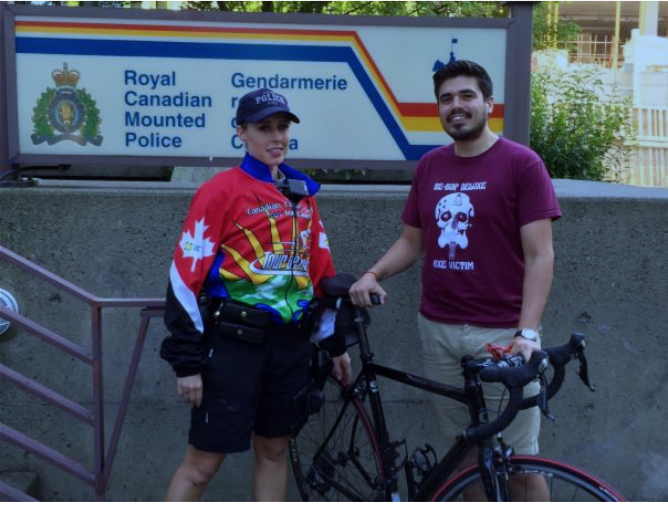 Bike owners are asked to send an email to: nvgetyourbikeback@rcmp-grc.gc.ca to indicate that they are interested in registering. Owners will then receive an email containing a form, which they are asked to complete and return. They’re encouraged to submit a photo of their bike with the form to increase the likelihood of it being returned. The information will be stored in a police database, and only used if the bike is reported stolen.  Never leave your bike unlocked in public, and use a high quality lock.  Use a U-lock and a cable lock if possible.  Remove the seat or a wheel as an extra deterrent.  Avoid leaving your bike on or in your vehicle. Lock it to your vehicle. If your bike is stolen in North Vancouver, contact police at 604-985-1311. Next PostAre transit fares unfair?